One of the strengths of the John Krasinski-directed A Quiet Place was how it avoided delivering audiences a full-on view of the monsters stalking a family, with the final scenes ultimately giving the creature its required screentime. 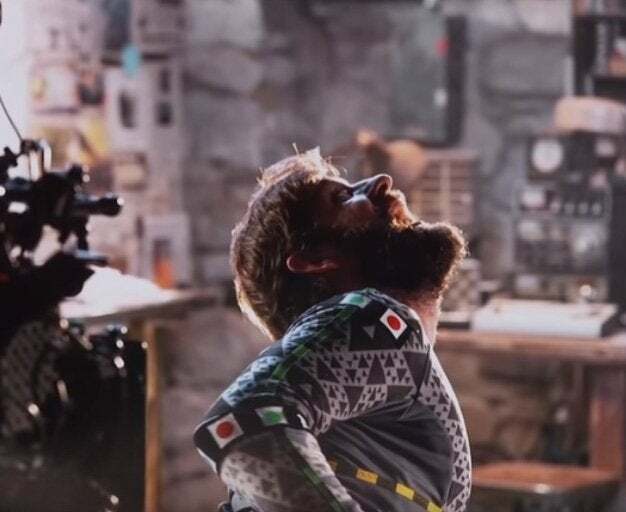 In addition to directing, co-writing, and starring as the family's father, Krasinski admitted he also had a secret role of providing that monster with a motion-capture performance. The actor also provided a photo of the scene to confirm he was the one in the necessary suit. In the film, otherworldly creatures have invaded the planet, leaving a trail of death in their wake. The monsters have impeccable hearing, which allows them to pursue even the slightest of sounds and eradicate their victims. Krasinski previously detailed the monsters' origins and how they were developed for the film. "The idea behind all that is they're definitely aliens and they're an evolutionarily perfect machine," the filmmaker explained to the Empire podcast. "So, the idea is that if they grew up on a planet that had no humans and no light then they don't need eyes, they can only hunt by sound. They also develop a way to protect themselves from everything else so that's why they're bulletproof and all these things. I had to make it make sense. I needed the rules of the monster to adhere as tightly to the rules of the family. The family, we had set up all these incredible rules, and I needed the monster to not just be convenient." The film went on to be a massive financial and critical success, ensuring that it would get a follow-up film. The original film was written by Scott Beck and Bryan Woods, with Krasinski giving the script a rewrite. Krasinski previously shared that he's begun developing ideas for the new film, though it's unclear if he'll be writing or directing the movie. The sequel to A Quiet Place will land in theaters on May 15, 2020. Are you surprised that Krasinski played the monster? Let us know in the comments below or hit up @TheWolfman on Twitter to talk all things horror and Star Wars!